Vanderbilt Divinity School is among a select group of seminaries and divinity schools named a Seminary that Changes the World for 2017-18 by The Center for Faith and Service. 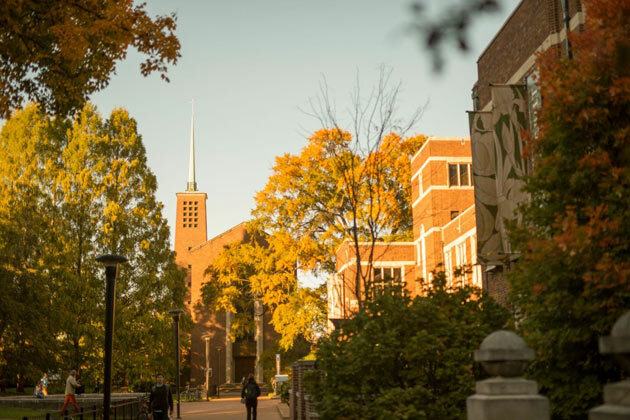 The center, which partners with other groups to create programs and resources that help young people connect their passion for service and justice with their faith, is housed at McCormick Theological Seminary in Chicago, Illinois. The Rev. Wayne Meisel, executive director of The Center for Faith and Service, created Seminaries that Change the World five years ago to act as a resource for service-minded young adults looking for ways to grow spiritually. Schools placed on this list are recognized for offering innovative courses, programs and opportunities for students seeking to engage in social justice and service work. This year the Divinity School launched the Public Theology and Racial Justice Collaborative to bring together scholars, students, activists and public servants to work to eradicate racism and all of its reciprocal forms of injustice and hatred. The collaborative is funded through a $1 million grant from the Henry Luce Foundation. Since 2009, the Divinity School has provided Imagination Grants of up to $2,500 to students who are seeking to engage in learning and experiences to enhance global understanding. These funds encourage individual students to enlarge their capacities in religious leadership in diverse contexts. The Divinity School reaches deep within the city of Nashville and surrounding communities for its Field Education placements. 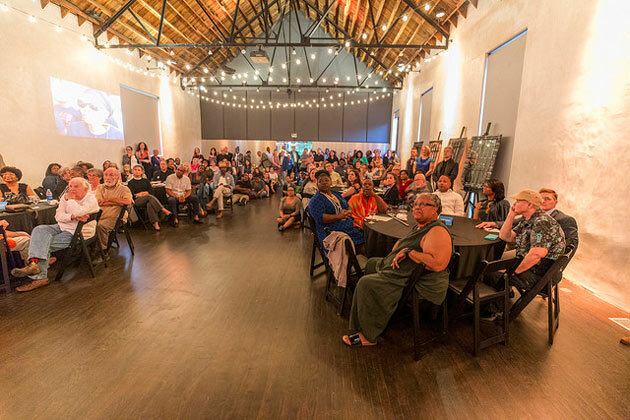 Recent ones have included Tennesseans Against the Death Penalty, Justice for Our Neighbors, Conexión Americas, Scarritt Bennett Center, Magdalene House, Nashville Food Project and DeBerry Correctional Institute. Several Divinity School courses explicitly engage the broader community, including a course taught at Riverbend Maximum Security Prison. Students and inmates learn side by side with renowned scholars such as Amy-Jill Levine, Bruce Morrill and Paul Lim. “Justice, Mercy and Mass Incarceration,” one of Vanderbilt’s massive open online courses (MOOC), is taught by Graham Reside, executive director of the Cal Turner Program for Moral Leadership in the Professions and assistant professor of ethics and society. Click here for more information on Vanderbilt Divinity School initiatives highlighted by The Center for Faith and Service. To see the complete list of schools in this year’s cohort, visit www.STCTW.org.